(no repeats) every night; they all stress me out. My friends can attest to this confession. For Thailand, I’ll be gone for 6-12 months or less or more or who knows, but it’s really starting to make me packing-antsy. I started arranging my clothes, toiletries, and other necessities early this morning so I could get a good head start on things. I decided to take a break and run a couple of errands including pick up some meds at Walgreens. After waiting in line at the drive thru for 30 minutes the classy broad behind me zipped around, rolled down her window and yelled some obscenities to me. Really. Not today lady. A few minutes later I found myself parked by the front door waiting for Miss Impatient to come out. After 5 minutes of contemplating my first choice words, I decided to be the bigger person and leave. This is what packing makes me do, get in fights with uneducated people at Walgreens. Did I really think that my fins and scuba gear was the most practical accessory to lug around for 6 months? I don’t think so. 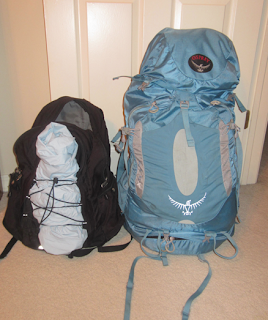 After hours of pulling my hair out I stuffed everything I think I needed into two backpacks. I’m pretty confident that I’ll be ditching some clothes along the way. Leash dawg love the blog and can't wait to hear your stories even if it is just your daily activities...I know it will be entertaining from you. Like your final decision on the homepage. Good luck have fun and can't wait to plan a trip over....April?!! Wow Lot of stuff. Should have considered a rolling cary on. Cloths are cheep and you can get a lot more meds cheeper over seas as well. Hard to find will be toothbrushes and tooth paste. Hair products and the like. Going to be a fun and educational trip for you. Can't wait to here the stories about what you discover. Find a good diving spot and I will bring you your gear to go dive it. Leash-Dawg, great pack job!! There's no way I would fit all my clothes in that backpack. Take them all out and put me in there!! I feel ya girl. 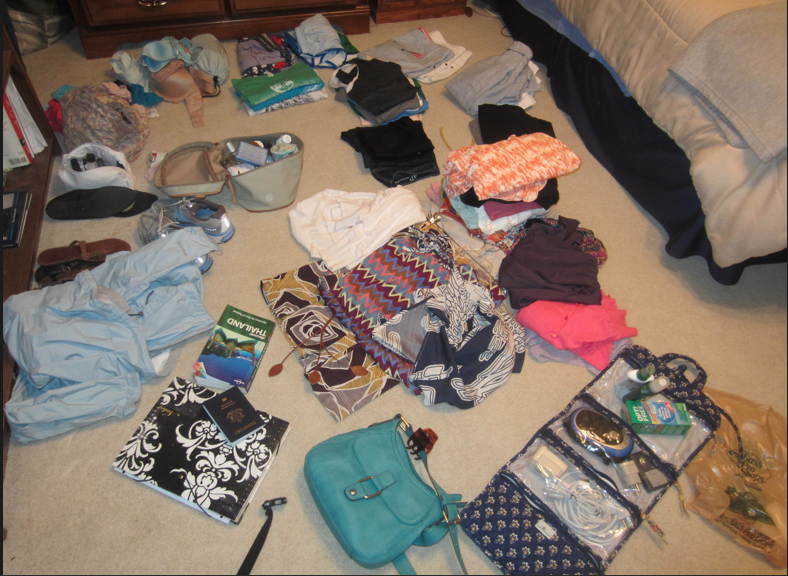 I actually over-packed for this Italian adventure, but luckily Casey's dad is coming to visit tomorrow, and I am sending loads of stuff back with him! 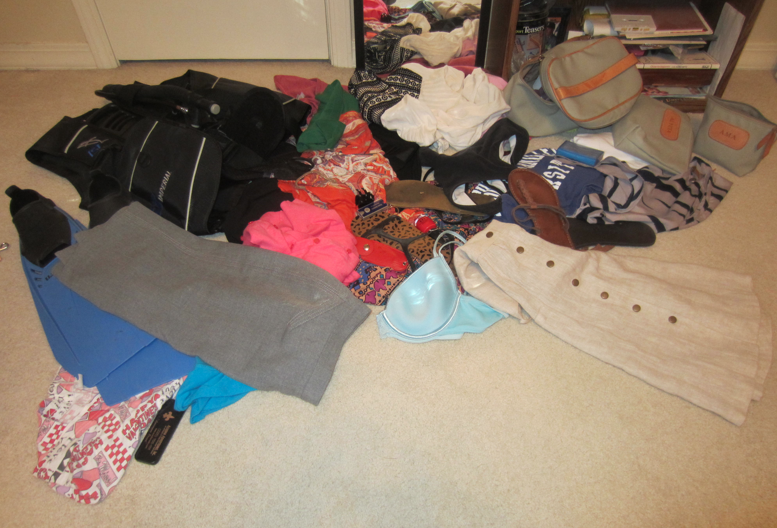 It looks like you did a good job and didn't over pack though! Hope traveling with it is not too much of a pain! I've been keeping up with y'alls pics and looks like you two are having an amazing time! 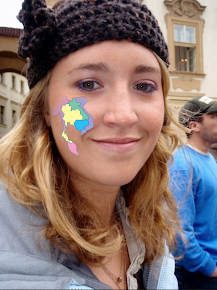 I wish you would come stop by Asia on your way back home. Just go the other way!! OMG I wish I would have tuned into the blog earlier. I have three bags to pack right now... 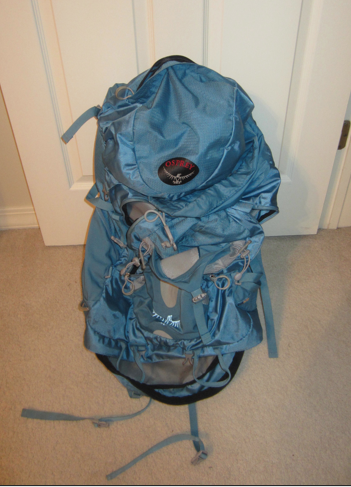 I 32 L bag to take for 3 months in Indo, a bag to travel 5 days through snowy Canada, and then the rest of my stuff! I was doing so well until Susie deemed it necessary to send me all these fun toiletries (I mean like BED BUG spray)- so yeah LOVE YOU and can't wait to see your face!!!!!! Chill! first of all you DEFINITELY need that bed bug spray with your track record!! sounds like you're going to need a personal bell boy to help you lug your stuff around the world! miss you and hope to meet up with you soon!! !